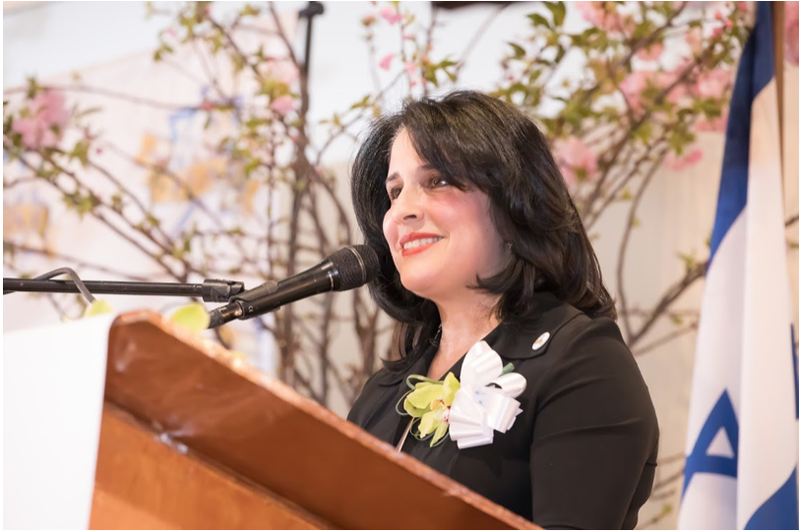 More than 500 guests came together at Temple Israel of Great Neck to celebrate a unique nonprofit organization’s 26 years of service to the Persian Jewish community on March 14. 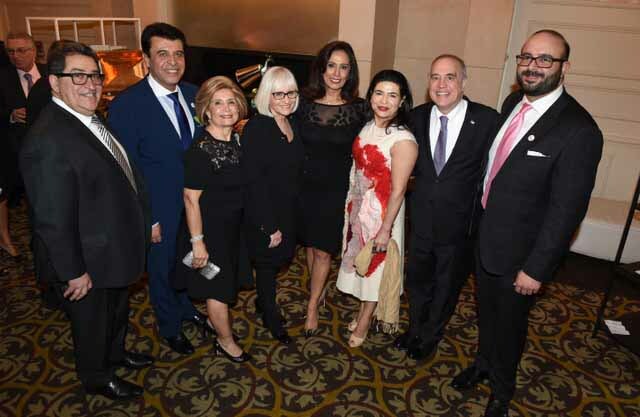 The Sephardic Heritage Alliance Inc.’s (SHAI) biennial gala shone a spotlight on the group’s many events and programs, as well as deserving professionals and students in the community. The program began with the American and Israeli national anthems. Alexa Tubian, a high school student, sang the “Star Spangled Banner,” and Saeed Deihimi, a pianist and virtuoso, played the “Hatikvah.” The emcees for the evening were well-known comedians and brothers, Dan and Dave Ahdoot, who were introduced by board member Misha Haghani. During the evening, the comedians ribbed the audience and themselves about Persian culture, dating rituals and favorite foods. 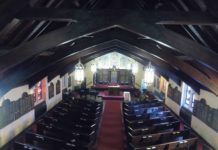 A video montage by Noor Video displayed the full panoply of SHAI’s diverse programs, which fulfill the needs spanning generations of the Persian Jewish community, and recounts the history of the organization. 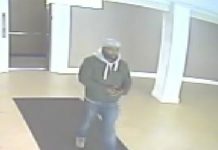 A link to the four-minute video can be viewed at https://vimeo.com/259225013. Some of the many dignitaries present included New York State Comptroller Tom DiNapoli, Nassau County Executive Laura Curran, Town of North Hempstead Supervisor Judi Bosworth, Nassau County Police Commissioner Patrick Ryder, Nassau County Legislator Ellen Birnbaum, Town of North Hempstead Councilwomen Anna Kaplan and Lee Seaman, Great Neck Public Schools Superintendent Dr. Teresa Prendergast, Assistant Superintendent John Powell, Board of Education Trustees Barbara Berkowitz, Donald Ashkenase, Donna Peirez, Rebecca Sassouni and Jeffrey Shi, New York City Councilman Rory Lancman, Justice Sabrina Krauz, Justice Morgan Kohanim Lancman, Village of Great Neck Mayor Dr. Pedram Bral, Saddle Rock Mayor Dr. Dan Levy, Village of Kings Point Deputy Mayor David Harounian, Great Neck Estates Mayor Billy Warner, Vigilant Fire Company and Emergency Medical Services Chief Joshua Charry, Iranian American Jewish Federation Chairman Elias Kalimian, Great Neck Chinese Association Copresidents Nathan Fong and Connie Wei, United Mashadi Jewish Community President Allen Hakim, Iranian American Jewish Federation President Robert Kahen, Beth Hadassah President Saeed Amirian, Cherry Lane Minyan President Soli Sassouni and Holocaust Tolerance and Memorial Center Chairman Steve Markowitz. In the words of the group’s president, the event’s honorees “personify excellence in wide-ranging pursuits that are each cutting-edge and without antecedent in our people’s history.” Each honoree exemplifies the importance of hard work and education, and each award is endowed in the memory of a treasured person from the community. 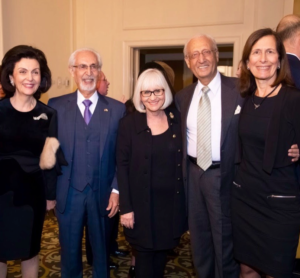 The Dr. Fariborz Nobendegani Award of Merit was given in the memory of the brilliant and highly respected neurosurgeon and pioneer in medicine whose impact was widespread. The award was presented by his sister, Nazee Moinian, to Franko Rahimi, the chief technology officer of Infrastructure at Bloomberg, LP, and the founder of the For Ian Foundation, dedicated to finding a cure for the cancer that caused the untimely death of his son Ian. The Parviz Ohebshalom Leadership Award was made possible by the donation of Nader and Fred Ohebshalom in honor of their beloved brother. 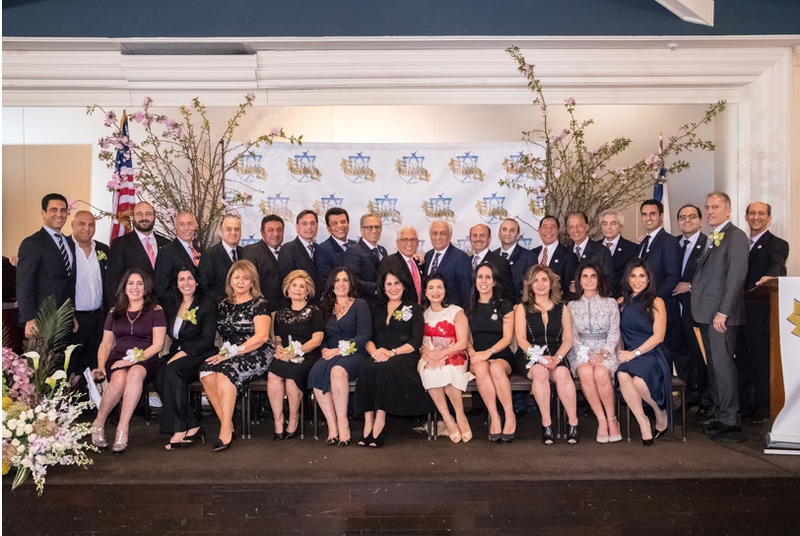 Business-driven from a young age, Parviz evolved into a successful entrepreneur and a dedicated family man, who channeled his energy and resources into Jewish causes and dedicated his life to helping those in need. 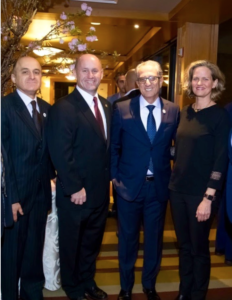 The award was presented to Pedram Tabibi, an attorney at Meltzer, Lippe, Goldstein & Breitstone, LLP, who is a frequent television commentator on social media law, and is a leading expert in his field. The Elyahoo Amirian Leadership award was made in the blessed memory of Elyahoo Amirian, who was the wise and insightful patriarch of his family. He instilled the inspiring and extraordinary fundamentals of education, religion and charity in his children and grand-children. 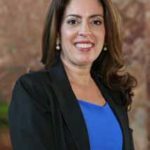 The award was presented to Lisa Daftari, an award-winning investigative journalist focusing on foreign affairs and counterterrorism, who frequently appears on major network television as an on-air political analyst. to Dylan Makani, a 10th grader at North Shore Hebrew Academy and a 2017 National Siemens Competition semi-finalist, and Aaron Hakimi, a 12th grader at Great Neck North High School, who was recently named a National Merit Scholarship Finalist and achieved a perfect 36 on the ACT. 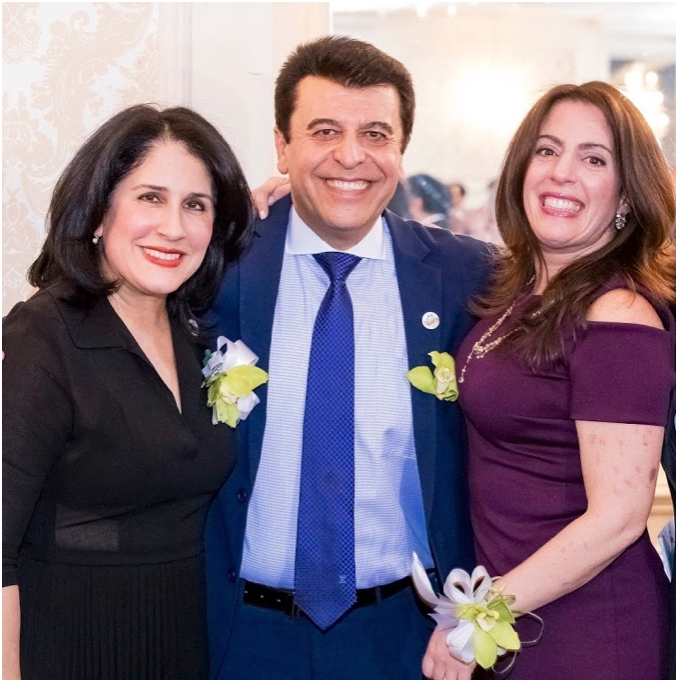 The Eli Sassouni Memorial Scholarship was made possible by a generous donation by Khosrow and Zizi Sassouni and Shahnaz Ohebshalom in blessed memory of their brother Eli. The award was given to Great Neck North High School salutatorian Joseph Taied, a first-year college student maintaining a 4.0 at New York University’s Stern School of Business, and Roger Hyman, a high school senior and accomplished scholar-athlete-singer at Great Neck North High School, who plans to attend Cornell University. The Kian Adhami Distinguished Students Award was presented to twins Leila and Julia Eshaghpour, who graduated from Great Neck North with high GPAs and now attend Ivy League colleges, and Shaina Bakhshi, a Great Neck North graduate and honor student who received a full scholarship to Yeshiva University, where she is in her first year. A highlight of the evening was the recognition of eight student volunteers at the Vigilant Fire Company, who were present to accept the award, along with Chief Charry. Honorees Shaina Bakhshi and Aaron Hakimi were also recognized for their service at Vigilant. More than a quarter century ago, the founders of SHAI, all of whom were present at the celebration, anticipated the need of future generations to preserve and protect their proud Persian Jewish heritage, which includes a strong ethos of family, culture, tradition, education—and paying these forward, l’dor v’dor—from generation to generation. 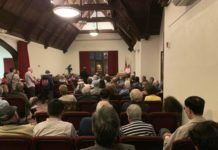 SHAI is essentially a Sephardic Jewish Community Center without walls. 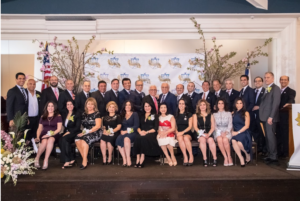 Since its formation 26 years ago, the main strength of the organization has been its founders and dedicated volunteer board, which is comprised of men and women from age 20 to 70, with diverse backgrounds and viewpoints, who attend different synagogues across the peninsula. Despite having nominal overhead costs, SHAI’s board has garnered widespread support from donors and sponsors, which has enabled the creation of programs and partnerships that serve the entire community. 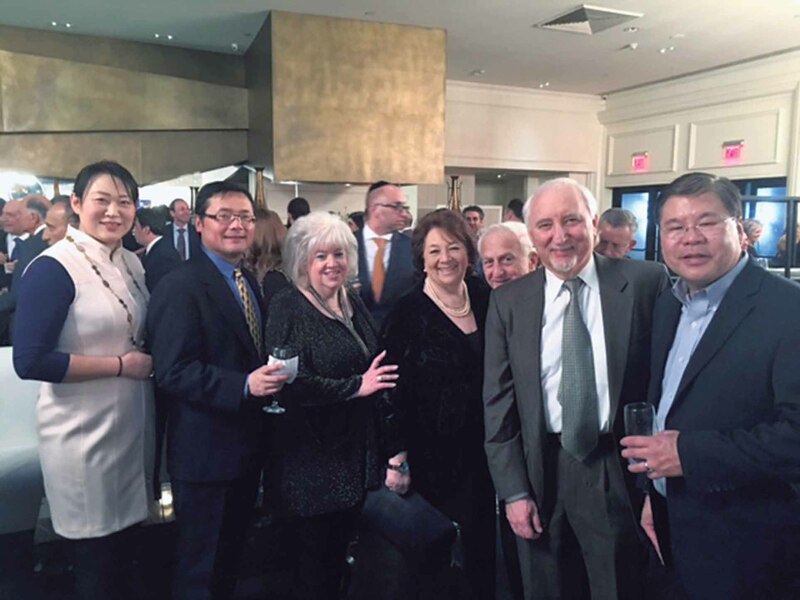 The cornerstone of the organization is its need-based scholarship program, which has awarded more than $2 million in financial aid to more than 1,000 students in the New York area and in Israel. 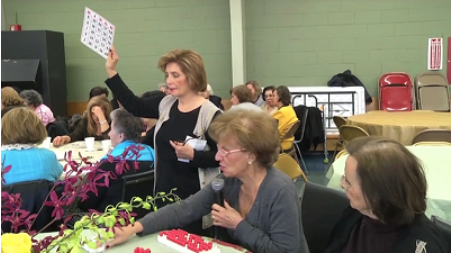 Another crucial contribution is SHAI board member Parvaneh Khodadadian’s direction of seniors at the Great Neck Social Center, which SHAI supports with the Town of North Hempstead. 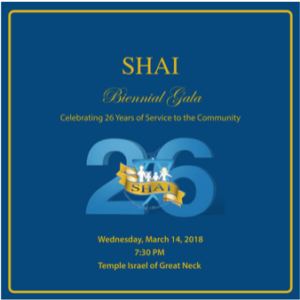 SHAI is also proud of its support for sports activities, day camp and youth leadership programs, all under the successful direction of Rabbi Yamin Levy. Under the dynamic direction of Vice President Erika Kashi and board member Mike Shakoohi, a full calendar of social events have been scheduled for singles and young people on Long Island and in New York City. Support for Israel is especially meaningful for the community since Persian Jews were a minority of less than 1 percent in Iran, and Zionism was, and still is, akin to a death sentence. 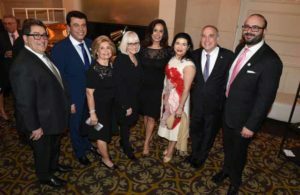 Mike Delafraz has led SHAI’s efforts for the State of Israel annual parade on Fifth Avenue for the past 10 years, which will be held on Sunday, June 3. 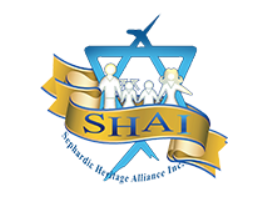 Learn more at www.shaiusa.org. 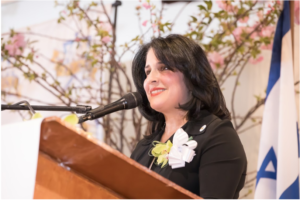 Great Neck resident Jacqueline Harounian is a frequent contributor to the Record, currently serves on the SHAI Board of Trustees as a vice president and was the organization’s first woman president.